Just because workers’ compensation insurance is required doesn’t mean every insurance carrier is reputable. Poor claims processes and service from a few give other carriers a bad rap. Don’t wait to see if your workers’ compensation carrier is great. We vetted more than 20 insurance carriers and narrowed it down to the top six providers. The Hartford is our overall top provider of workers’ compensation insurance. They have a highly rated claims approach that will reduce headaches for both businesses and injured workers. The Hartford’s workers’ compensation policies automatically include extended coverages which are typically expensive additions elsewhere. Complete a short online questionnaire to receive a quote in minutes. Zurich Growing businesses with national and international exposure. Workers’ compensation insurance is insurance that covers employees and their families for work-related injuries, illness, and even death. Every business with employees needs a workers’ compensation policy. Most states require employers maintain at least $1 million in coverage per incident. Businesses with employees in multiple states must have coverage that meets each state’s regulatory standards. Workers’ compensation insurance covers incidents from sudden injuries from accidents to long-term conditions developed from the line of work. Should an employee become partially or permanently disabled as a result of injuries on the job, the workers’ compensation policy will pay permanent disability payments. These policies do not cover workers who inflict injury intentionally upon themselves, break the law, or file a fraudulent claim. Solopreneurs can gain coverage by purchasing workers comp insurance for self-employed. The workers’ compensation needs of small business owners are different than the needs of big companies. Large companies have more resources for risk mitigation. Small businesses don’t have experts in-house evaluating different workers’ compensation policies. Based on the common frustrations of business owners seeking workers’ compensation, the underwriting and service aspect of each company was considered. State insurance funds were not evaluated in the determination of the best workers’ compensation policies to compare the best nationally rather than isolated states. While state insurance funds can compete in some states’ private market but may also be a monopolistic insurer in others where there is no competition allowed for workers’ compensation. In reviewing all criteria for many of the small and large workers’ compensation insurance carriers, The Hartford stands out as having the right mix of strength, service, and overall eligibility policies. The Hartford has an exceptional claims approach, moving both businesses and injured workers forward quickly. Their workers’ compensation policies include extended coverages which are typically expensive riders elsewhere. The Hartford integrates with payroll providers to help facilitate accurate premiums. Pricing is contingent on industry, location, and size. 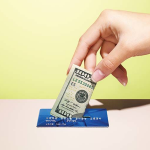 Many companies using The Hartford claim it was the best-priced policy after shopping around. The Hartford is second in total workers’ compensation policy premiums only to Travelers but is a preferred option for many small business owners. Its financial strength extends to all commercial lines, in particular, workers’ compensation insurance. Its ratings give business owners confidence in the company’s ability to pay claims. The underwriting process for workers’ compensation insurance is similar to other insurance carriers. Be prepared with the company’s registration information, payroll data and a summary of the work performed. The Hartford will want to see any previous loss-history reports from previous carriers. A company that cares enough to include what most business owners would like to include for their employees is rare. The fact that it doesn’t translate directly into higher overall premium costs for carrier pricing is a bonus. The Hartford offers personal and commercial insurance products. Policyholders enjoy discounts provided by combining multiple policies, and there are other discounts for affiliations and memberships. Regarding commercial lines of insurance, The Hartford has one of the most inexpensive and comprehensive business owner policies on the market along with commercial auto, general liability, and professional liability. Consumers, in general, are very familiar with The Hartford name and brand. The company has a long history for covering consumers and businesses in the United States. Brand confidence is high, and policyholders report having positive experiences with The Hartford claim process. Customers enjoy the convenience of having personal and business policies in one central location. 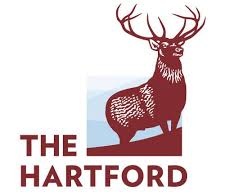 The Hartford is a terrific place to start for any business owner seeking a new business policy including workers’ compensation. The Hartford offers quotes conveniently online, through its direct call center, or through local brokers in the states that it provides coverage. Travelers is the largest insurer of workers’ compensation in the nation. The ConciergeCLAIM through Travelers is a unique program to get hurt employees back to work. It’s a face-to-face interaction building relationships with injured workers that not just focuses on the physical injury but also the mental aspect of rehabilitation. The company underwrites a wide variety of high-risk industries, including construction, health care, and transportation along with a full slate of personal insurance policies for home, auto, and yachts. As the largest underwriting of workers’ compensation in the nation along with many other lines of business insurance, Travelers underwrites nearly twice as many workers’ compensation policies than the next largest carrier, The Hartford. It maintains the highest rating possible, Superior, with added notches of distinction. The underwriting process starts with an application that reviews the type of work your company performs, the number of employees you have and the overall payroll expenses. For higher-risk industries, Traveler’s will follow up with more in-depth requirements like safety standards, employment policies, and may even do an on-site visit. Even though this is the largest commercial workers’ compensation insurance provider, Travelers provides a soft touch with business owners and their employees. This makes a big company feel like a neighbor there to help. Travelers has a full line of both personal and commercial insurance policies. Personal lines policies include the standard auto, home, and life policies along with less widely covered yachts and event coverage. From the business lines side, companies can obtain general liability, business owner’s policies (BOPs), professional liability, and management risk. This makes the carrier a convenient one-stop shop for all insurance needs. 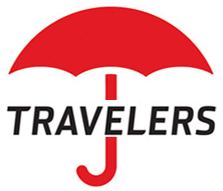 Travelers is a highly recognized brand that is sought after by businesses because of its business-friendly underwriting. Business owners that work with Travelers feel confident that the company has their best interest at heart when dealing with claims in a fair and reasonable fashion. Go to the Travelers website to locate a local broker in your state to obtain a quote. Travelers provides comprehensive solutions based on state-specific regulations and is best able to underwrite workers’ compensation policies using local resources. 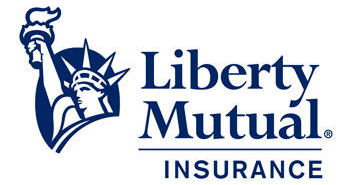 Liberty Mutual is a household name for personal insurance needs. It is also a top 10 provider of business insurance. This carrier focuses on positive customer experience, making everything from getting quotes to filing claims as straightforward as possible. Customers can use a dynamic online account manager or call their local agent. Liberty Mutual is the seventh-largest writer for workers’ compensation policies in the nation. Liberty Mutual received the top user rating in a survey of insurance buyers for workers’ compensation policies who bought national carriers via independent agents. Small business owners rate this company with a lot of confidence. Because Liberty Mutual specializes in small businesses, the underwriting process is completed over the phone in most cases. Prepare payroll documents with a list of employees, their specific payroll items and the type of work they do. In addition, have company registration and taxpayer information readily available along with any previous insurance policy information. A national personal lines insurance carrier that decided to make business insurance friendly and easy. The company’s appetite for commercial business is growing and expanding coverage options. Liberty Mutual provides personal and business insurance. The carrier has a multitude of personal insurance policies like home, renters’, auto, and life insurance. In addition to workers’ compensation policies, Liberty Mutual offers commercial auto, general liability, BOPs, surety bonds, and inland marine policies. Liberty Mutual is a consumer-friendly insurance company. This is why it does well with small and sole proprietor businesses. Customers appreciate the ease of processing everything from applications to claims. Having a local agent to meet with and have questions answered is another bonus. Liberty Mutual has local agents throughout the country who can provide quotes and answer underwriting questions based on your industry and state. Go online to Liberty Mutual to find an agent near you. Zurich is considered a premier insurance carrier providing workers’ compensation insurance because of its financial strength, wide breadth of industry coverage and claims processing. While Zurich covers a wide range of industries, it serves high-risk industries like nursing homes, construction, and schools exceptionally well. Zurich is an international insurance provider offering complimenting policies to international companies through its sister companies. In the U.S., Zurich maintains Superior ratings from AM Best and Standard & Poor’s. Zurich’s litigation management helps it remain financially strong while moving through the claims process quickly. Zurich utilizes a job analysis plan to help employers establish guidelines to ensure employees can handle the work physically and reduce overall injuries. Like other carriers, the underwriting process requires administrative and tax information for the company, payroll documentation, and any previous loss history. As a high-risk carrier, Zurich covers a variety of policies for business needs, including professional liability, management risk, builders’ risk and accident, and health. This carrier also provides policies for cybersecurity risk and credit or political risk. The multitude of risk that Zurich offers makes it a good choice for a business wanting to understand its aggregate risk exposure fully. Zurich is seen as a company for big business and high-risk industries. It sets a gold standard of coverage excellence and risk mitigation sought after by those who understand their own exposure. Those who work with Zurich are confident that major claims against them will be properly investigated to avoid fraud or excessive claim payout. Zurich works directly with agents and brokers to properly underwrite all new business. Visit Zurich online to find an agent appointed to gather the required information and provide you with an accurate quote for workers’ compensation. Hiscox is an insurance company that focuses on the needs of small business owners. This insurance carrier is committed to helping business owners sift through the confusion of buying insurance and provides bundled discounts to companies that buy workers’ compensation and a general liability policy together. Hiscox’s sweet spot is lower-risk companies like office policies and retail establishments. Hiscox is a financially sound company receiving an Excellent rating from both AM Best and Standard & Poor’s rating companies. It is growing its market share with premium written within the U.S. by expanding state presence from the major national employer states. Many consider Hiscox a rising star for workers’ compensation. *NR means it isn’t rated by this credit reporting agency. An online application starts the underwriting process collecting data on the company including location, business, and tax registration. All payroll and previous loss history are required for companies with prior workers’ compensation insurance policies. 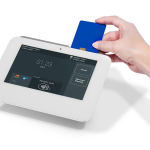 New companies will estimate payroll and integrate into payroll options. 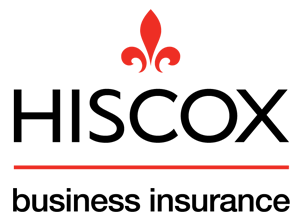 Hiscox is a true small business insurance carrier. While they serve a variety of industries including beauty, marketing, and landscaping, they work with smaller companies with less than 100 employees best. Companies with a mix of office administrative jobs and outside workers will find competitive rates based on classifications. Hiscox only offers commercial insurance products. It does offer a 5% discount when bundling multiple policies such as workers’ compensation with general liability. The insurance carrier also provides BOPs and professional liability. Small businesses appreciate Hiscox’s flexible options. The carrier works hard to ease the burden of underwriting, paying, auditing, and claim processing from the business owner. This frees up time and other resources so small businesses can get back to work. Policyholders praise the flexible payment options and discounts offered. To obtain a workers’ compensation quote from Hiscox, visit its website. You’ll have the option to do an online quote or call to speak with a representative. If you need quotes on multiple business policies, it is best to speak with a representative. Insurance321 is an online intermediary that makes a business owner’s life easy when it comes to shopping for business insurance. Whereas a business owner calling all carriers on their own might realize that they are not eligible only after a week or longer, Insurance321 can do all the work on the business’ behalf. One set of questions leads to the right carrier with the highest probability to write the policy. Insurance321 is not a direct carrier for commercial insurance. It partners with the top insurance carriers to prevent business owners from a lengthy and frustrating process of seeing what company has an “appetite” for their type of business using top rated companies as the final underwriting carrier for all policies. *Because Insurance321.com is not a carrier themselves, they don’t receive ratings. Business owners visit Insurance321 and complete a very simple questionnaire that includes the name, address, and industry of the company. A representative follows up with a call to get more specific details required by underwriting including actual payroll numbers or estimates, business registration, and loss history information. With a few quick questions, Insurance321 will help you find the right policies for your business. While the carriers might not always be the same, the process saves you time in locating general liability, commercial auto, business property, and BOPs. They also have access to bonds so that you don’t need to provide information to a variety of carriers for different policies. Although newer to the market, users of Insurance321 report how easy it is to shop for various business insurance policies. Business owners who are unsure about what coverage they need like the idea of a company that sifts through all the carriers for them. Insurance321 is a quick and easy way to find the coverage you need in the timeframe you will love. Go online and complete the 30-second questionnaire to start the process. Then, a dedicated representative will take the lead to a search for the right policy for your business needs at the best possible price. If you live in one of the 22 states that have a State Insurance Fund, you might be required to purchase workers’ compensation insurance from the fund. A state insurance fund is a private insurance fund; California and New York’s state funds each rank among the top 10 underwriters for workers’ compensation in the nation making them huge players in the game. Some state funds offer guaranteed coverage for workers for high-risk work classifications or companies with large losses. If a business is unable to get coverage or find a more competitive rate, the state insurance fund is an alternative. Funds are usually run by labor or commerce departments. Some state funds are run independently and compete in the private insurer marketplace for workers’ compensation. In Ohio, North Dakota, Wyoming, and Washington, employers are required to use the state insurance fund to ensure that all coverage meet state labor requirements. These are called monopolistic workers’ compensation states. Just because workers’ compensation insurance is a requirement doesn’t mean it should be done in a fast and cheap fashion. Not having the right insurance carrier results in claims extending and costing more than they should, increasing insurance costs and even claims denial. You can mitigate risk at work, but you can’t eliminate it. Get the right workers’ compensation insurance. Having policies with different carriers can lead to gaps in coverage and put a business owner at potential risk of claim denial. Being able to have a financially strong company like The Hartford that combines business policies with worker’s compensation policies is the best protection against business risk.